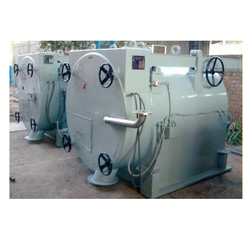 Exporter of a wide range of products which include horizontal peeler centrifuge machine. We are an eminent organization engaged in offering our patrons a wide range of Sedimentation Centrifuge, which is ideal for concentration slurries with fine solids. The offered machines are widely admired for their ability to withstand extreme working conditions. The offered machines are able to stand tall on the expectations of patrons as we manufacture this keeping in mind the international quality standards by utilizing the high-grade raw material. Looking for Sedimentation Centrifuge ?